Puzzly has beed featured by Apple as on one of the best iMessage apps in the US, UK and 100+ other countries. Solve hundreds of puzzles assembled just for you from unique and gorgeous photos. You can even feel the breeze of the ocean or hear the music from a wild party in the picture. Or just take a moment to appreciate the sunset. Whichever is right for you - Puzzly got you covered! Puzzly is an iMessage app as well. 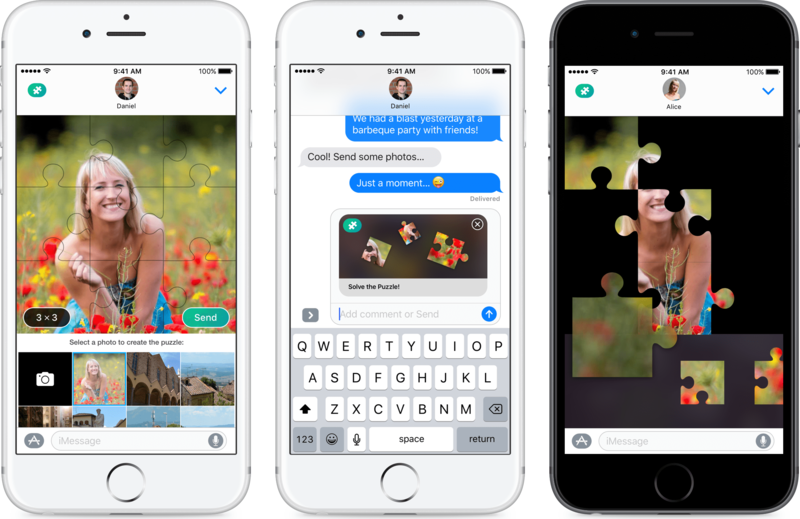 Create puzzles from your photos right from any iMessage chat, see results without going anywhere else. Ain't that cool? This is private photo sharing taken to a whole new level! Nothing beats seeing your friends assembling a 25-piece puzzle for 5 long minutes! Made with ♥ by Gleb Revkov & Vladislav Simanovich & Eugene Goncharuk.